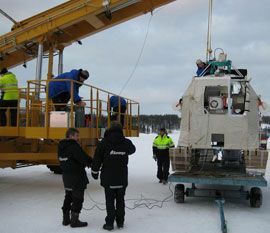 The balloon was launched by dynamic method with assistance of the launch vehicle HERCULES at 01:46 local time on 24 January 2010. 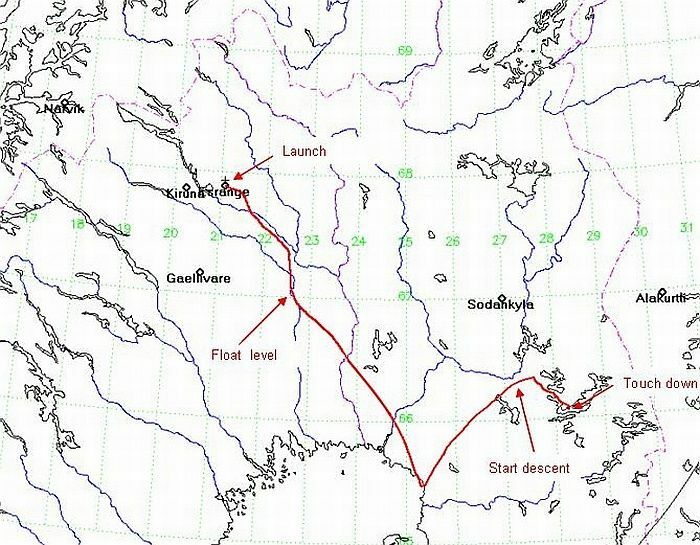 After a nominal ascent phase, the balloon reached the float level of 34 km at around 5:00, heading towards the Baltic sea for several hours before it almost stopped and turned his path into Finland. 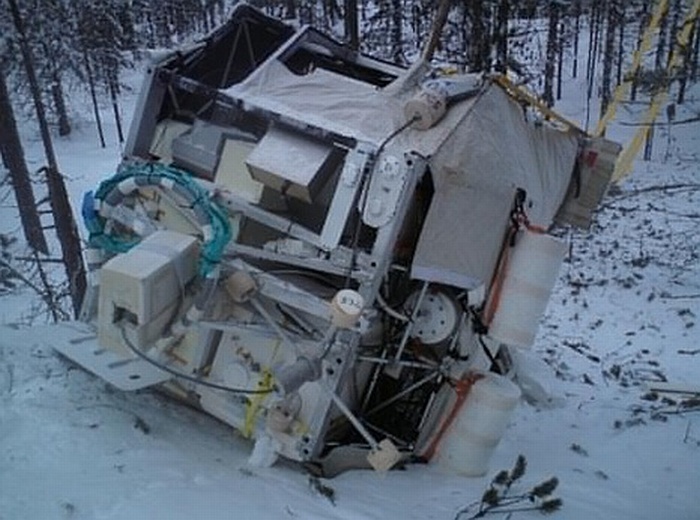 Around 13:00 the valve was opened for a slow descent down to 25 km, then the gondola was cut at 14:40 and safely landed 40 km East of Kuusamo, Finland. Two days later the gondola was back in Esrange in good shape. All systems could be switched on and were working again. This was the flight # 18 of MIPAS-B2. The scientific objective of this flight has been two-fold: One goal has been validation of the space experiments ENVISAT and SMILES. The other goal has been to measure the time-dependent chemistry of chlorine and bromine, and to achieve the closure of chemical families (NOy, Cly, Bry, HOx). 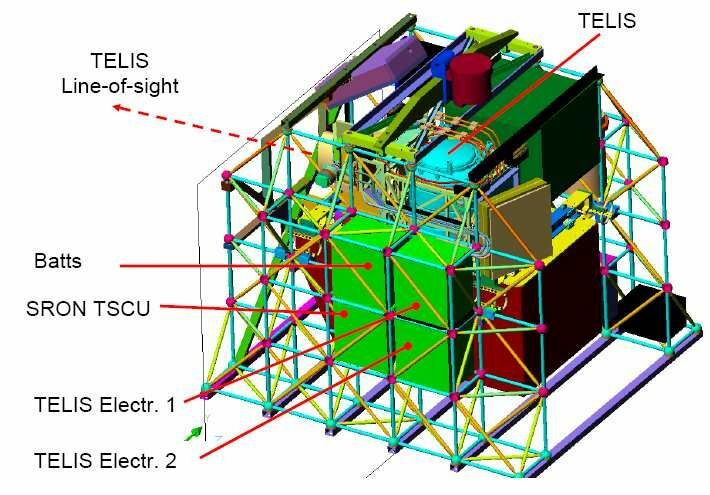 The measurements have been performed using remote sensing spectroscopic techniques covering the spectral range from the UV via the IR to the MW. Altogether these techniques allow the measurement of more than 30 atmospheric species. 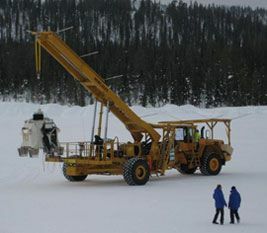 As piggy back payloads were included two others instruments in the gondola. 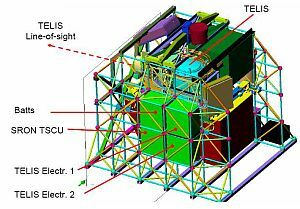 TELIS (Terahertz and Submillimeter Limb Sounder) a 3 channel cryogenic heterodyne receiver developed by DLR with high sensitivity and stability, which like MIPAS is a limb sounder measuring reactive species, water isotopomers and some atmospheric tracers with a vertical resolution of about 2 km. The second one was mini-DOAS (OSAKAR) developed by the IUP Heidelberg, a two channel automated UV/vis Limb scanning spectrometer created to measure measure time dependent profiles of UV/vis absorbing atmospheric radicals. (4) to observe the same air masses as the Geophysica aircraft on the same day. Both MIPAS and TELIS worked well, and the quick-look at the recorded spectra is very promising. Power problems prevented the mini-DOAS to measure well into daytime, unfortunately. c) a relatively slow build-up of ClO after sunrise.